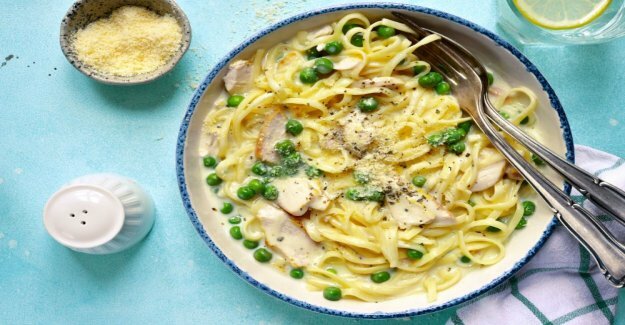 "Pasta Alfredo with chicken and peas"
"Pasta Alfredo – creamy pasta with mild flavours"
"Pasta Alfredo belongs to may not be the narrowest of the dishes but oh so good. With chicken and peas reach the new levels." "the Pasta Alfredo with chicken and peas"
"Number: 3 servings Preparation time: 10 min Cooking time: 20 min"